And Dr. Prodoehl (my lovely wife, who spent many years in Baltimore) pointed out it was the “Natty Boh” guy. So who (or what) is Natty Boh? Natty Boh is National Bohemian, a beer that originated in Baltimore back in 1885. The Natty Boh dude can be seen around Baltimore in the employ of many local organizations, and you can still get National Bohemian beer (though it’s owned by Pabst now) and if you just want some sweet Natty Boh gear, nattybohgear.com can handle that. There’s also some great Natty Boh commercials you should check out, and there’s some sportsball history as well. Heck, even those Tumblr kids like Natty Boh! 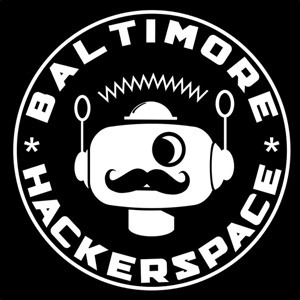 Anyway, if you’re in the area, I’d recommend a visit to Baltimore Hackerspace for all your making and hacking needs.